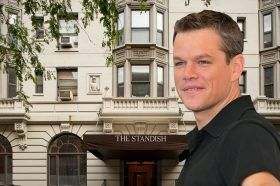 Actor Matt Damon has officially purchased the most expensive home in Brooklyn: a $16.7 million penthouse at The Standish, the New York Post reported on Thursday. 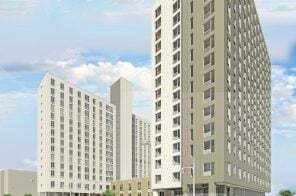 Last September, 6sqft learned Damon had gone into contract at the Brooklyn Heights building, located at 171 Columbia Heights. 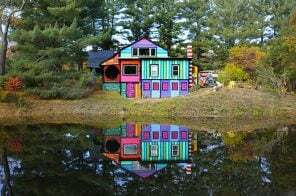 At that time, it was listed for just over $16.6 million. 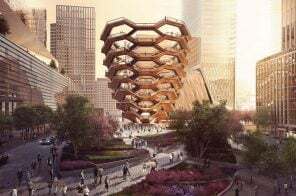 With the deal officially inked, the A-lister takes the title of the priciest property in BK from Jennifer Connelly, who bought a $15.5 million townhouse in Brooklyn Heights this year, and photographer Jay Maisel, who owns a $15.5 million home in Cobble Hill. 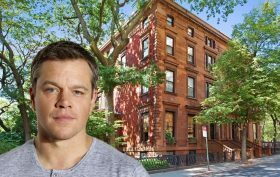 He may fly under the radar in Hollywood, but when it comes to Brooklyn real estate, Matt Damon seems to be all about high life. 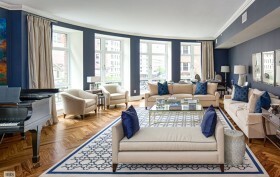 This time last year, he toured the historic Brooklyn Heights mansion at 3 Pierrepont Place, which was the borough’s most expensive listing ever at $40 million. Though he didn’t follow through, it looks like he’s still poised to set a record, as Mansion Global reports that sources say the actor has gone into contract on the penthouse at the nearby recent condo conversion The Standish. If the sale closes for its most recent price of $16,645,000, it will take the crown for priciest residential sale ever in Brooklyn, stealing the title from a $15.5 million Cobble Hill townhouse sale in 2015. Way back in February 2015, 3 Pierrepont Place hit the market for $40 million, making it Brooklyn’s most expensive listing ever. The Brooklyn Heights Promenade mansion boasts 17,500 square feet, 15 bedrooms, 16 bathrooms, and more than 9,000 square feet of garden and outdoor space, in addition to a wealth of period details. 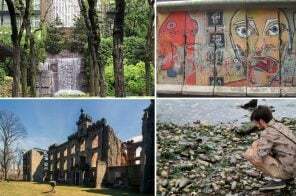 Plus it comes with a bit of historic pedigree; it was built in 1857 as the Low Mansion for businessman A.A. Low, whose son, Seth Low, became mayor of Brooklyn, mayor of New York City in 1902, and president of Columbia. Perhaps it’s all these bragging rights that attracted Matt Damon, as the Post reports that he and wife Luciana Barroso recently toured the grand property.